The Alston-Bedwell House, built in 1906 by local contractor Mr. Alston and later occupied by prominent local educator D. R. Bedwell, is a two-story, wood frame building of the Free Classic subset of the Queen Anne school of residential architecture. Locally known as the Bedwell House, it is located in a residential district marked by ample tree coverage. 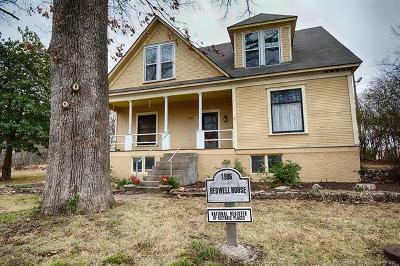 The home features original wood floors and a new roof. The property is in excellent condition and remains largely unchanged from the Bedwells' time.